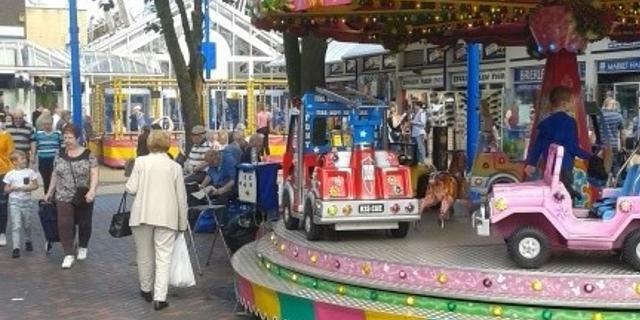 Bury Market is promising to put a smile on the faces of their younger visitors this August with some classic entertainment. Throughout the school holidays children's trampolines and a merry-go-round are available in the Market Square adjacent to the Mill Gate Shopping Centre and on Market days - Wednesdays, Fridays and Saturdays - there will be extra free activities between 10am and 3pm. On Wednesdays, Fridays and Saturdays there will be a sandpit, Connect 4, Jenga and more, and on Fridays only, there will also be free face painting. Market Manager, Andrew Heyes, said "We pride ourselves on providing something for everyone at Bury Market and a good quality experience for all. We're sure that the parents of children visiting the Market will find that our activities in the square will bring a smile to their young ones faces".